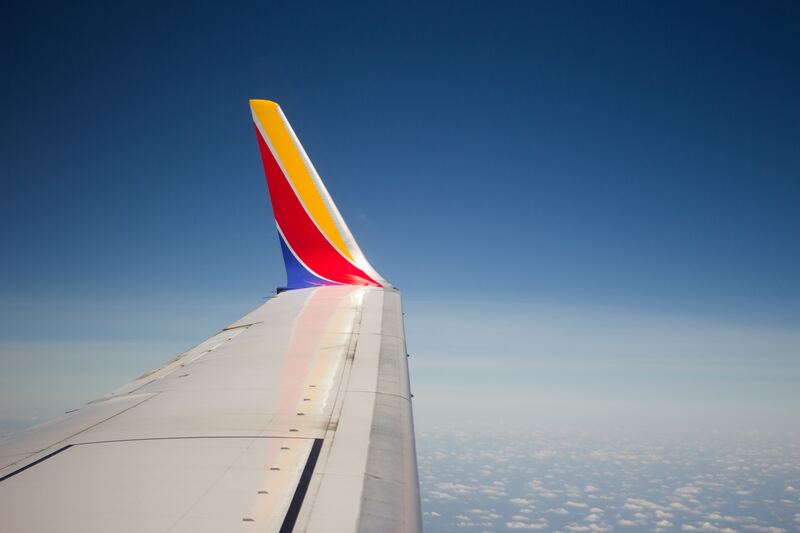 When it comes to travel perks, there’s nothing more lucrative than the Southwest Companion Pass. 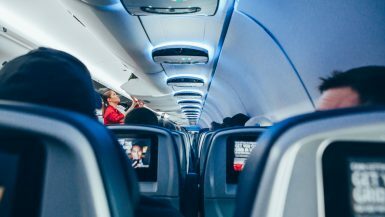 Hailed as the best airline perk in the world, travel enthusiasts swear by this deal if they frequently travel with a partner or family members. If you find yourself booking flights regularly, here’s everything you need to know on how the Companion Pass works, how you can maximize its already amazing value, and how you can score it for almost two full years. Spoiler: This will change your life for the better. When you travel frequently with a plus one, you’ll begin saving 50% or more on all travel. Heck yes! What’s the Southwest Companion Pass? The Southwest Companion Pass is a Southwest Airlines perk, where the airline allows you to bring a plus one on any Southwest flight that you book. It doesn’t matter if you book a $59 flight or a $900 flight, your companion’s flight charge is (mostly) free, you simply need to pay their taxes and fees which start at $5.80. What makes the Southwest Companion Pass truly stand out, is that it’s valid for both paid and award flights. That means it doesn’t matter whether your work booked a conference flight for you or if you used frequent flier points to score an awesome deal. If you have a seat on a Southwest flight, you can get a companion a free seat as well. There are no blackout dates (hello last minute holiday travel), and there’s no limit on how many times you can use your Companion Pass. It truly is an unlimited perk that’s valid as long as there’s a seat on the plane available at the time of the booking. The only exception to the Companion Pass is that you can’t book a companion ticket if you already scored your seat from someone else’s companion ticket. In essence, you can’t double-dip the savings and bring a plus-one when you’re already someone’s plus-one. No need to get greedy when you already have a free flight! Also, keep in mind that the Southwest Companion Pass works best when you travel with the same plus one on your travels, as you need to designate an individual as your companion. You’re only allowed to change your companion three times per calendar year, allowing you to use this perk with up to four people per year. The Companion Pass also requires that your plus one travel on the same itinerary as you do. Just like you wouldn’t send your guest to a wedding in which you were not attending, Southwest doesn’t like you sending people on their flights without you there. Southwest takes this VERY seriously, and they will not allow your companion to travel if you’re not also physically on the plane with them. Sound good? Awesome! Here’s how you can score your Southwest Companion Pass! In case you haven’t guessed yet, in order to score travel’s most exclusive perk, you have to be willing to pay for the luxury. 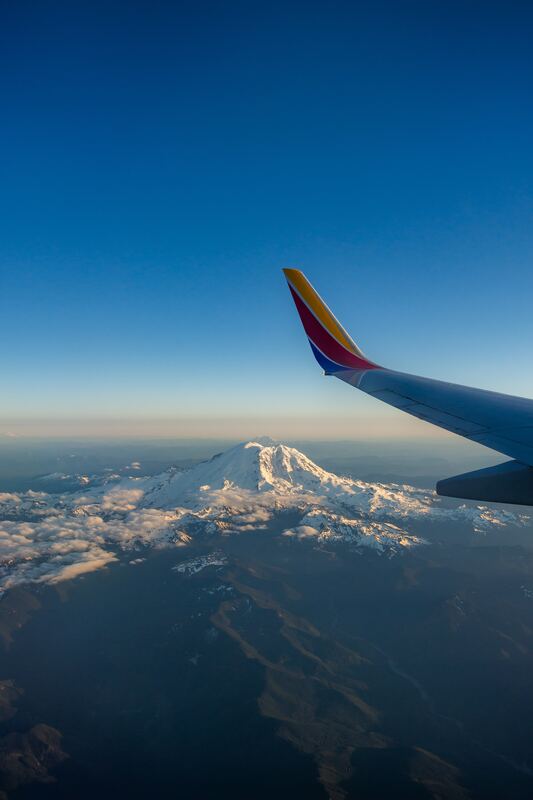 Since most people don’t fly Southwest at least twice a week, every week, for an entire year, it’s safe to say that earning the 110,000 qualifying Rapid Rewards points is your most likely method of earning the Southwest Companion Pass. Here’s how you can earn the Southwest Companion Pass utilizing the 110,000 qualifying Rapid Rewards points method. Base points earned from their “Home & Lifestyle” partners, which generally consist of energy and TV providers. These are the ONLY four ways you can earn qualifying points. 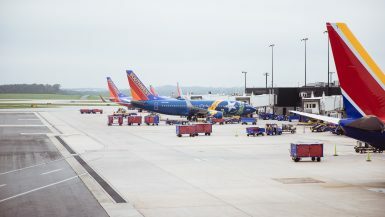 Points purchased from Southwest, points transferred from other Southwest Rapid Rewards members, points converted from the hotel and car loyalty programs, and points earned from Rapid Rewards Program enrollment all DO NOT count towards earning your pass. Confused? There’s no need to be! Here’s exactly how you can earn your 110,000 qualifying Rapid Rewards points! For most readers that don’t play the points game, this can seem like a bitter pill to swallow. Opening not one, but TWO credit cards!?! I felt the same way before I started looking closer into how credit cards work, and how credit is established. There’s quite a bit to read, but in short, as long as you don’t already have five active Chase credit cards (or within the last 48 months), there’s nothing wrong with opening up two more. In fact, this actually HELPS your credit, as it provides you with a higher credit limit, thus improving your debt to credit ratio. There’s a lot of amazing reading material out there on how opening credit cards is a good thing, but I’m going to go ahead and continue under the assumption that you already did your reading and you’re ready to move forward with opening your two Southwest Rapid Rewards cards. There are currently three different Southwest credit cards to choose from, the Personal Premier, the Personal Plus, and the Business Premier. These cards all have varying signup bonuses that can help you get most of the way towards your 110,000 required points. Southwest sign up bonuses vary between 40K and 60K bonus points when you spend between $2,000 and $3,000 in the first three months, but anything 50K+ is considered a great deal. At the time of this writing (September 2018), Southwest Personal Premier is offering a 50K signup bonus and Southwest Premier Business is offering a 60,000 bonus when you meet the minimum spend. Therefore, you could earn (50,000 bonus + 60,000 bonus + 2,000 spend + 3,000 spend =) 115,000 Southwest Rapid Rewards points which is more than enough to earn the Companion Pass. Just like that, by opening two Southwest credit cards, you can enjoy having a +1 travel for (almost) free with you wherever you go! Note: Southwest cards DO have annual fees that vary between $69 and $99 that are billed on the first payment cycle, so you will have to spend a little money out of pocket to secure your points, but it’s still worth it and will pay itself off with the first 1-2 flights you book. What if the Southwest Promotion Is Under 110k Points? Depending on when you activate your Southwest credit cards, the promotional value will vary between 40k-60k points. If you happen to sign up when the cards are only worth 40K-50K points, here’s how you can still reach your 110k points needed to secure the Companion Pass. Note: Wait to purchase your Southwest credit cards until you read the rest of this article. There are ideal times to activate your cards so you can enjoy TWO years of the companion pass instead of just one! Users earn one point per dollar spent, so if you still score your two Southwest cards at 50K bonus points each (and therefore hit the minimum spend on each card as well) then you only need to spend $6k organically to hit your 110,000 points. Southwest offers AMAZING Rapid Rewards points for booking flights with them. For example, a $76 Wanna Get Away flight from Los Angeles to Las Vegas will score you 351 Rapid Rewards points. If you book this flight for two people, round trip, you’ll score 1,404 points. If you’ll already be traveling, gaining Rapid Rewards points is extremely easy this way. Tip: Keep an eye out for Business Select seats! You can often score 2x to 4x the Rapid Rewards points for the same dollar value as Wanna Get Away tickets. For example, a $76 flight from Los Angeles to Vegas was 351 points at a 4.6 point per dollar value. However, if you book Business Select on the same flight for $258 you’ll score 2,822 Rapid Rewards points at a 10.9 point per dollar value. 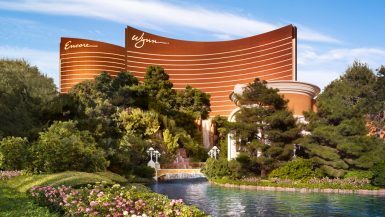 Therefore, a $500 roundtrip flight from Los Angeles to Las Vegas will score you the same 5,644 Rapid Rewards points as $5,644 in organic spending! If you prefer spending less, this can be an ideal way to gain your Rapid Rewards points without spending thousands. When is the best time to activate my Southwest Credit Cards? There’s a “magical” time to activate your Southwest Credit Cards, and those months are November and December. Here’s why. When you activate your Southwest credit cards, you have three months to hit your minimum spend in order to unlock your bonus – the 40k to 60k Rapid Rewards points. Once you hit your minimum spend and reach your 110K points, your Southwest Companion Pass is immediately earned, and you’ll receive your companion pass for the rest of the current year, plus the next full calendar year. When you activate your Southwest credit cards in November or December AND you wait until midday January 1st to hit your minimum spend, then you’ll score the Companion Pass for your entire year, plus the full following year. Its a full two years of access to the holy grail of travel perks. So, for example. Say I activate both of my Southwest credit cards on November 15th, 2018. I’d have until February 15th, 2019 to hit my minimum spend and earn my bonus rewards. I’ll spend on these cards, ensuring I leave at least $100 of cushion cash so I don’t go over, and then in early January, I’ll spend the rest. If I hit my bonus on January 2nd for example, I can start utilizing my Companion Pass immediately, and I’ll have access to my earned pass for the entire 2019 and 2020. Keep in mind, you CANNOT go over your minimum spend on either card until January. If you reach your bonus on one card in December 2018, and the bonus on the other in January 2019, you’re unable to earn your companion pass since it was earned over two years instead of one. This is why the cushion cash is so important. Spend on the cards, get close to your minimum spend, and then reach that minimum spend in January. This is, of course, if you want two full years of the Companion Pass, instead of one year. 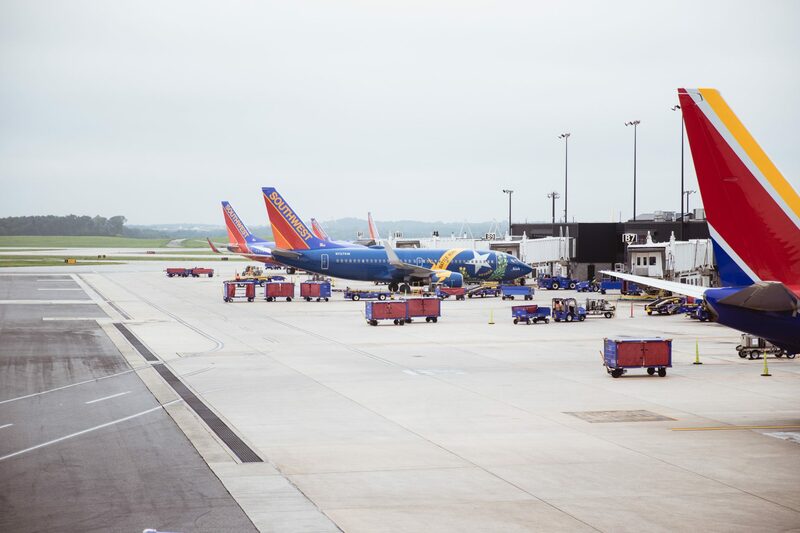 As we receive comments in this blog post or on our social media about the Southwest Companion Pass we’ll add them below in an effort to answer everyone’s questions. Please don’t hesitate to ask if you have any questions about this awesome travel perk – as we were able to learn about this from other travelers and want to pass that information along to you!